Many people (okay, two guys in the comic book store) have asked me for my thoughts on the new incarnation of Doctor Who, so I now bow to popular demand. I am a lifelong Doctor Who fan – or Whovian, as we are sometimes known (and not, as some have suggested, Who-ers, because that would be silly) – and I’ve loved the first four seasons of the BBCs re-launch. My thoughts on the franchise and this incarnation will follow, but the short verdict is that Matt Smith as the Doctor is great. The season premier was awesome. It was beyond awesome. It was extra super awesome, and I am very excited to see how the rest of the season unfolds. So, yes. I dig Doctor Who. I grew up watching it in the Tom Baker period. I have the Doctor Who theme as my cell phone ringer. If that makes me a dork, and I’m pretty sure it does, then so be it. And as a Doctor Who fan, I was excited, if skeptical, when the show re-launched in 2005 after many years of dormancy. But the new incarnation was a fantastic update, reaching for a more mature audience and rewarding, if not requiring, a familiarity with the show, the character, and the franchise mythology. 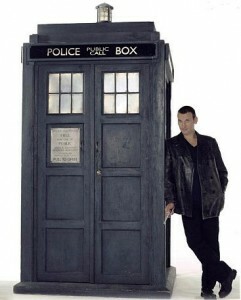 Christopher Eccleston as the 9th Doctor was stunning, but, per prior agreement, he only stayed on one season. David Tennant was a little rocky at first, at least in my view, but he grew into the role nicely, and took the helm as the character engaged in some of the most powerful, challenging, and emotionally surprising story arcs in the show’s history. Given that the show has just begun its 31st season, that is saying something. 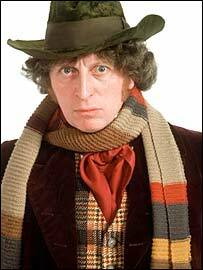 Until David Tennant, Tom Baker was certainly the most iconic incarnation of the Doctor. Like many people, I was disappointed when news of Smith’s casting came out. At 27, he’s the youngest actor to play the Doctor, and with his (admittedly quirky) good looks, I feared the studio execs over at BBC were trying to youthen up the franchise at the expense of the franchise itself. I was wrong. Smith gets it, sometimes eerily channeling David Tennant, but his portrayal of the character echoes many of the best incarnations: Christopher Eccleston, Tom Baker, Peter Davidson, and maybe even a little Jon Pertwee. What Eccleston and Tennant have done so well, and now Smith continues, is to convey in every scene the incredible contradiction of this character, who is both relentlessly optimistic but also deeply melancholic. When the series re-launched in 2005, Eccleston nailed the character right out of the box, keeping the old manic energy of so many of the best incarnations of the Doctor, but infusing the character with a cosmic weariness. Since the show’s last incarnation, the Doctor’s people, the Time Lords, fought a cataclysmic battle with their ancient enemies, the Daleks. Though the Time Lords have won, it has been at great cost and the Doctor is (or so he believes) the last of his kind. (It later turns out that he’s not the last of his kind, then he is again, then he’s not, and then, finally, he is. I love a good retcon.) This combination of survivor’s guilt and the illusion of invincibility goes on to drive the series, as does the introduction of much more emotionally-charged relationships with the Doctor’s string of female companions. For my money, Eccleston's 9th Doctor is still the one to beat. Most notable is Eccleston and Tennant’s run with Billie Piper as Rose Tyler. The relationship between the Doctor and Rose is not exactly sexual, but it is sexualized, and certainly amorous. It is without doubt far more complex and emotionally compelling than the patronizing teacher/pupil relationship that dominated in the old incarnation of the show. Whatever the precise nature of their relationship, these two characters unambiguously love each other, and that love infuses the new series with an emotional urgency that older versions lacked. And it is the Doctor’s capacity to feel genuine love, as well as longing, loneliness, regret and in some especially powerful moments, reckless confidence, that the character truly blossomed first under Eccleston short but triumphant tenure, and later under Tennant. It is, admittedly, the triumphant moments that I am thinking of when I praise Doctor Who, though certainly the series can suffer from its worst impulses. There are the lazy monster-of-the-week plots as well as a needless loyalty to Cold War era enemies like the Daleks and the Cybermen who, despite special effect and conceptual retooling, still come across as somewhat dippy. On the other hand, the series often enough shows genuine brilliance, especially when willing to think outside the formula box. In particular, there’s season 2’s “Love & Monsters,” in which the Doctor comes face to face with members of his fan club; and then there is season 3’s transcendent “Blink,” easily one of the best time travel stories ever told in any medium. 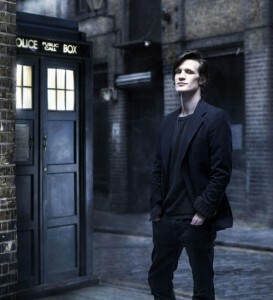 But back to Matt Smith and the new season. Smith comes in during the last part of the Doctor’s regeneration, and that makes things difficult. For those not in the know, and who are inexplicably still reading this review, back in the ‘60s when the original Doctor, William Hartnell, decided to leave the show, the producers came up with a clever concept that allowed them to change actors but maintain continuity. It seems that Time Lords, when injured, can “regenerate,” getting a new face and a new personality, but retaining the memories of the previous incarnations. The exact nature of the transformation is unclear, at least to me, but it seems very much that like for the old incarnation, this process is like dying. The new incarnation gets to take over a life in progress without having had a childhood or origin of any sort. Ultimately a bit disturbing, no? As a rule, regeneration episodes are almost always weak. Not so this episode, “The Eleventh Hour.” This story gets the regeneration elements out of the way and then digs in to the Doctor doing his thing – saving the earth by the seat of his pants. There is real chemistry between Smith and Karen Gillan, who plays Amy Pond, the Doctor’s new companion, and I love how their relationship begins with the Doctor horribly disappointing and failing her. He’s got a lot to prove, and that gives their interaction real energy. Steven Moffat, who has taken over from Russell T. Davies as executive producer and chief writer, delivers a script that is crisp, funny, scary, emotionally charged, tense, and gets the Doctor just right. In his final confrontation with this episode’s enemy, the Doctor makes it clear just who he is and what consequence his enemies face in crossing him. Those who have followed the series for decades will find it hard not to cheer. In the end, Doctor Who is a series about a character who at once astonishingly competent and seriously deficient, and to pull this off, all elements have to click. In “The Eleventh Hour,” they do click, and we get our first taste of an incarnation of the Doctor that respects the show’s long heritage, but promises to plunge into new and satisfying territory. I’ve been promising this announcement for a long time, and now here it is. One of my major side-projects this year will be for awesome comics indie, Radical. Assassins: Sword of the Apocalypse will be an “illustrated novel” (essentially a novella with lots of high-quality illustrations) set during the Third Crusade. King Richard the Third and Saladin, Sultan of Egypt and Syria, are locked in ruthless combat over the holy city of Jerusalem, but when a new and terrifying threat emerges, the two monarchs must set aside their differences and become brothes in arms. Joined by Robert of Locksley (later Robin Hood), Morgiana (of Ali Baba fame), Temüjin (later Genghis Khan), and Moses Maimonides (all good adventures should include a Torah scholar), Richard and Saladin will face bloodthirsty Assassins, deranged Templars, and an evil that threatens all mankind. I’m psyched. Radical’s books always feature amazing art, and this one is going to look fantastic. I’ll post more details when they are available, but look for publication late 2010 or early 2011. I had some art posted, but Radical asked me to take it down. They don’t want anything leaked. 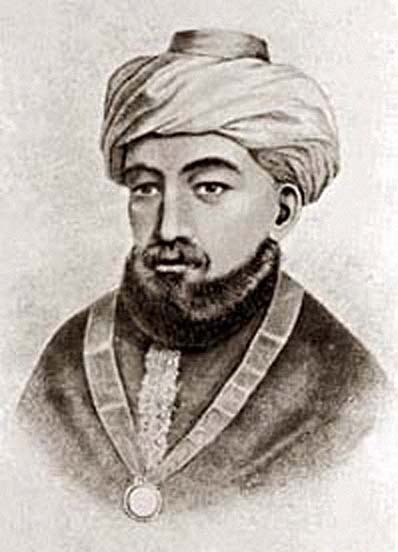 So here, in the meantime, is a picture of Maimonides (Saladin’s physician in real life, you know) as he contemplates fighting evil.